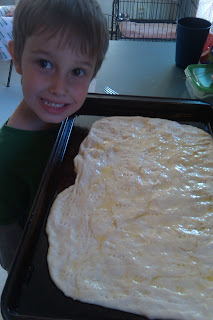 The Food-Minded Mama: And Sometimes You Screw Up - "Faux-Caccia"
We had friends over for spaghetti dinner the other night. 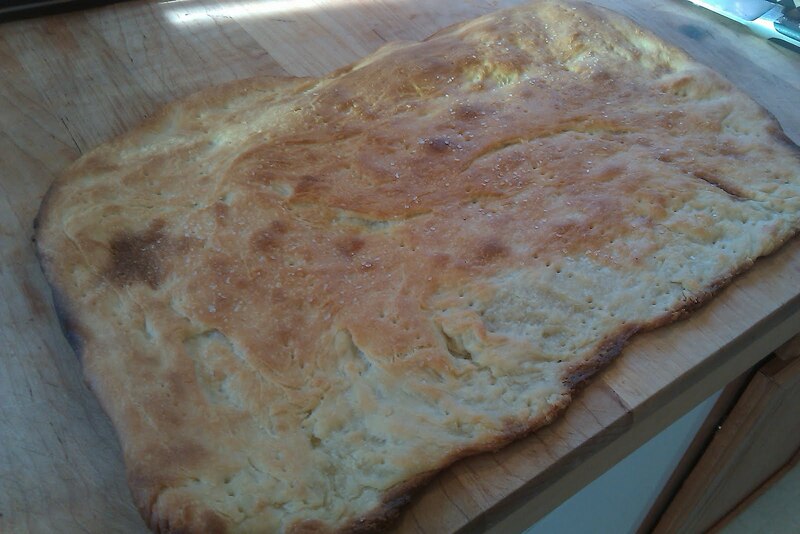 I had a little extra time before they got here so I thought I would make some faux-caccia, pizza crust baked with olive oil and salt and serves as focaccia. 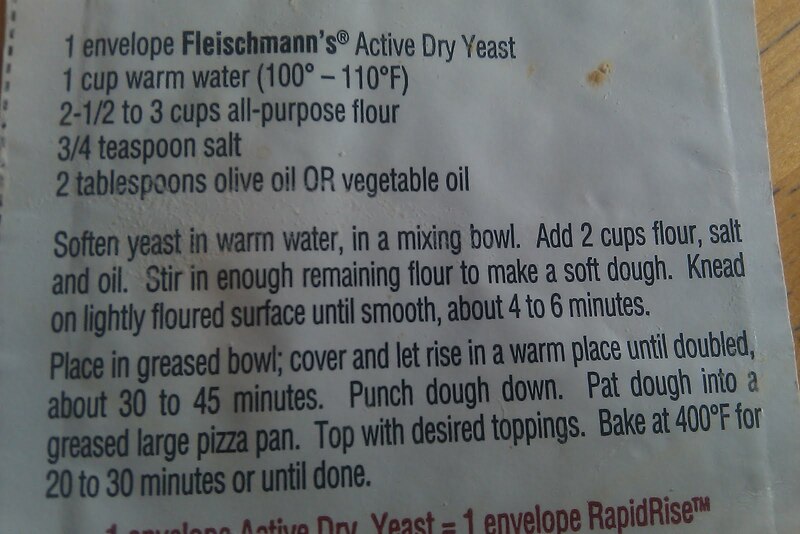 - Sprinkle salt and olive oil over the top of the dough just before baking. My buddy Rhone wanted to help make the bread. 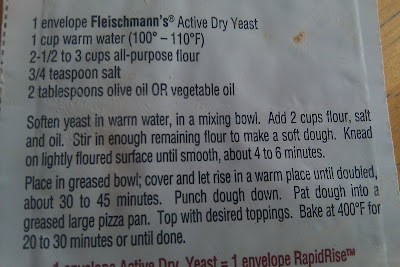 In my haste to find something for him to do (everything was already done) I told him he could prick the dough with the fork. Why I had him do this I have no idea because my bread came out like crackers. Not what I was hoping for at all, but my guests liked it, so I guess that's what matters. First - DON'T PRICK THE BREAD and it will rise beautifully. Then - This Faux-caccia can be doctored up in many ways. Toss on some herbs like fresh basil leaves or oregano, add some anchovies, or sliced tomatoes.